Oregon Health and Sciences University (OHSU) is now accepting applications for the Fall 2015 admissions until June 1, 2015.  In addition to filling a critical need in the state of Oregon for more pre-licensure nursing faculty, many OHSU graduates have taken important nurse educator positions in health care systems in the state. This program could provide an important growth opportunity for nurses working in your systems and agencies. The School of Nursing offers a Master of Nursing in Nursing Education (MNE) with a clinical focus in one of two areas: adult gerontological nursing or community health nursing. This program is designed for the bachelor’s-prepared nurse who is interested in pursuing a career in teaching nursing, either as a faculty member in a school of nursing or in a staff development position. One strength of this program is its linkage with the OCNE curriculum in the OHSU undergraduate program. The MNE program is primarily an online program with face-to-face intensives scheduled for some courses. (It is also possible to construct a clinical focus in psychiatric mental health nursing if students can attend classes face to face). The curriculum assures students can focus their study on the role of faculty in an academic setting or as a nurse educator in health care organizations. The core curriculum prepares graduates to apply best practices in teaching and learning with opportunity to explore teaching using up-to-date technology related to on-line instruction or high-fidelity simulation. Coursework includes an individualized and focused clinical teaching practicum guided by experienced faculty allowing students to pursue their interests in a variety of teaching and learning environments. This program begins in the fall and is offered online either in a full and part time format to Oregon residents and selected other states in the U.S.